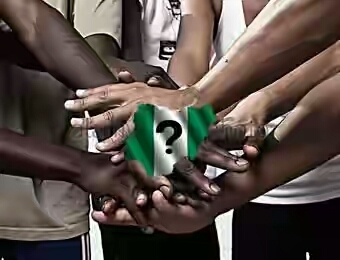 Ahead of 2019 general elections, a new political movement, the Nigerian Patriots, NP, has emerged. The group, it was gathered, has an ultimate goal of becoming a mega-party that will contest for elective positions. Those who have shown interest in the group, according to a Tribune report, include some former Nigerian leaders, vice presidents, former and serving state governors, senators and House of Representatives, as well as eminent politicians. A number of chieftains of the All Progressive Congress, APC, People’s Democratic Party, PDP, Labour Party, LP, and the All Progressives Grand Alliance, APGA, are also reportedly part of the proposed party. It was learnt that most of the leaders in the South-West, comprising former PDP governors and lawmakers who were uncomfortable with some prevailing situations in their parties, are also part of the group. The steering committee of the proposed party is headed by a PDP bigwig, Chief Dosu Oladipo, who told Tribune that “Anybody that wants the survival of this country should come to the Nigerian Patriots. It is not a socio-cultural group; it is a political group. “We are reaching out to all leaders across the six geopolitical zones. We have consolidated in the South-West; South-East, South-South; North-Central; North-East and the North-West. The new group is hoping to capitalize on the fictionalization of the PDP and the cold war in the APC over supremacy in the National Assembly caucus, as well as rancour in a number of state chapters. Speaking on the ongoing talks, Oladipo said the group boasts of members who strongly believed in restoring good governance by ending an era of impunity and ineptitude to the political space. He disclosed that he and other leaders of the steering committee met in Ibadan, last Wednesday, in the ongoing moves to consolidate on the gains of the past few weeks of serious engagements and consultations. “You don’t do things in haste, when it comes to forming the kind of formidable national party we are involved. “We are promoting the principle of inclusiveness and consultation. “We are still reaching out to other like-minds across board and once they say, ‘oh, it is time to move to the next stage, we will gladly comply”, he added. 0 on: "Nigerian Patriots, NP Political Movement Formed By Topshots From PDP, APC - Politics"